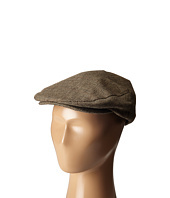 (23% off MSRP $34.00) From nights on the town with the boys to classier moments, the Brixton® Hooligan Snap Cap will deliver! Cut and sew snap. Snap closure. Custom lining for all-day comfort. Metal logo badge at back. Spot clean only. Materials: 80% polyester, 20% wool (Grey) 100% cotton (Navy) 55% Polyester, 45% Wool (Red/Black) Imported. 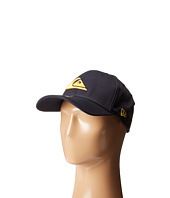 Measurements: Circumference: 21 3⁄4 in Brim: 1 1⁄2 in Product measurements were taken using size SM (7). Please note that measurements may vary by size. 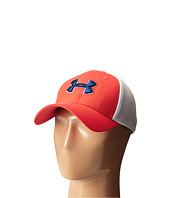 (20% off MSRP $24.99) Before your go pin seeking reach for the comfort and style of the Under Armour® UA Golf Mesh Stretch 2.0 cap! Structured build maintains shape with a slightly higher crown. Closed-hole mesh side and back panels deliver added ventilation. Stretch construction provides a comfortable fit. 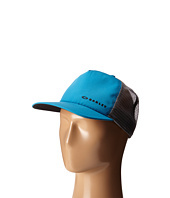 Built-in HeatGear® sweatband wicks away sweat to keep you cool and dry. Imported. 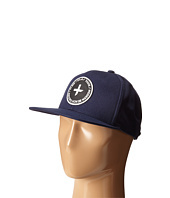 Measurements: Circumference: 23 in Brim: 2 3⁄4 in Product measurements were taken using size LG/XL (7 3/8-7 3/4). Please note that measurements may vary by size. 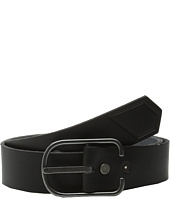 (50% off MSRP $50.00) The missing piece to your fashion puzzle is here with the Volcom® Hitch leather belt! Stylish leather belt. Vintage-inspired metal buckle with single-prong closure. Debossed Stone logo detailing. 100% leather. Imported. Measurements: Width: 1 1⁄2 in First Hole Length: 30 in Last Hole Length: 36 in Weight: 5.2 oz Product measurements were taken using size 32. Please note that measurements may vary by size. 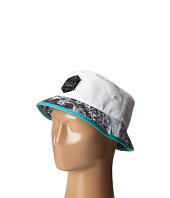 (40% off MSRP $25.00) Set the standard with the classic style of the Quiksilver® Mountain and Wave Colors hat! New Era® 39THIRTY™ hat with a stretch fit. Six-panel construction. Raised 3-D logo embroidery adorns front. Logo label at back. 97% cotton, 3% elastane. Machine wash cold, lay flat to dry. Imported. Measurements: Circumference: 23 in Brim: 2 3⁄4 in Product measurements were taken using size S/M. Please note that measurements may vary by size. (58% off MSRP $36.00) Don't live life on the edge with those loose pants - keep things secure with this laid back style by Quicksilver®. 100% leather belt with contrasted color edges. Features an embossed Quiksilver® logo on strap. Single-prong metal buckle with embossed logo. Imported. 35mm/1.4 wide. Measurements: Width: 1 1⁄2 in First Hole Length: 33 in Last Hole Length: 37 in Weight: 5 oz Product measurements were taken using size 32. Please note that measurements may vary by size. 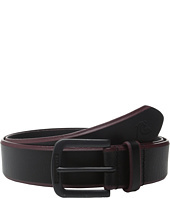 (18% off MSRP $28.00) Set your style apart with the inspired design of the Volcom® Terra belt! 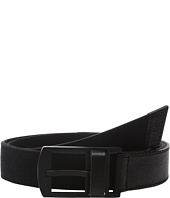 Stylish belt in a sturdy canvas with genuine leather accents. Single-prong metal buckle. Leather tip with debossed logo. 95% cotton, 5% leather. Imported. Measurements: Width: 1 1⁄2 in First Hole Length: 36 1⁄2 in Last Hole Length: 42 1⁄2 in Weight: 6 oz Product measurements were taken using size 38. Please note that measurements may vary by size. Fintie,a quality product within your reach!Fits iPad mini 3 / 2 / 1 ONLY. Rotates 360 degrees in the case for flexible landscape and portrait viewing. This Fintie Folio Case for Nextbook Ares 11 / Nextbook Flexx 11 tablet Slim Fit with Stylus Holder is a must have and perfect companion for an easy and enjoying life! All features are accessible even with the case on. Fintie,a quality product within your reach!Fits iPad Pro 9.7-inch 2016 release ONLY. Full protection, perfit fit, high quality materials and craftsmanship. Fintie,a quality product within your reach!Fits Samsung Galaxy Tab A 8.0 SM-T350 Tablet ONLY.Perfit fit, high quality materials and craftsmanship. Fintie,a quality product within your reach! Fits iPad Pro 9.7-inch 2016 release ONLY. Ultra slim and light weight design. Hassle-free operation. Fits Samsung Galaxy Tab A 9.7-Inch Tablet SM-T550 and SM-P550 (2015 released) ONLY.100% Silicone to blunt and dull impact from accidental drops. Fintie,a quality product within your reach!Fits Samsung Galaxy Tab A 9.7-Inch Tablet SM-T550 and SM-P550 (2015 released) ONLY.Perfit fit,high quality materials. Fits Samsung Tab E Wi-Fi / Tab E Nook / Tab E Verizon 9.6-Inch Tablet (SM-T560 / T561 / T565 / T567V) ONLY.Rotates 360 degrees and swivel stand design. Fintie, a quality product within your reach! Fits Samsung Galaxy Tab A 9.7 inch Tablet SM-T550 (2015 released) ONLY.Rotates 360 degrees and swivel stand design. Fintie,a quality product within your reach!Fits Samsung Galaxy Tab S2 9.7 Tablet SM-T810 / SM-T815 / SM-T817 ONLY.Perfit fit, ultra slim and light weight design. Fintie,a quality product within your reach!Fits Samsung Galaxy Tab 3 10.1 and Tab 4 10.1 inch Tablet ONLY.Shock absorption and super light weight design. Fintie,a quality product within your reach!Fits Samsung Galaxy Tab A 9.7 Tablet ONLY.Full protection, perfit fit, high quality materials and craftsmanship.